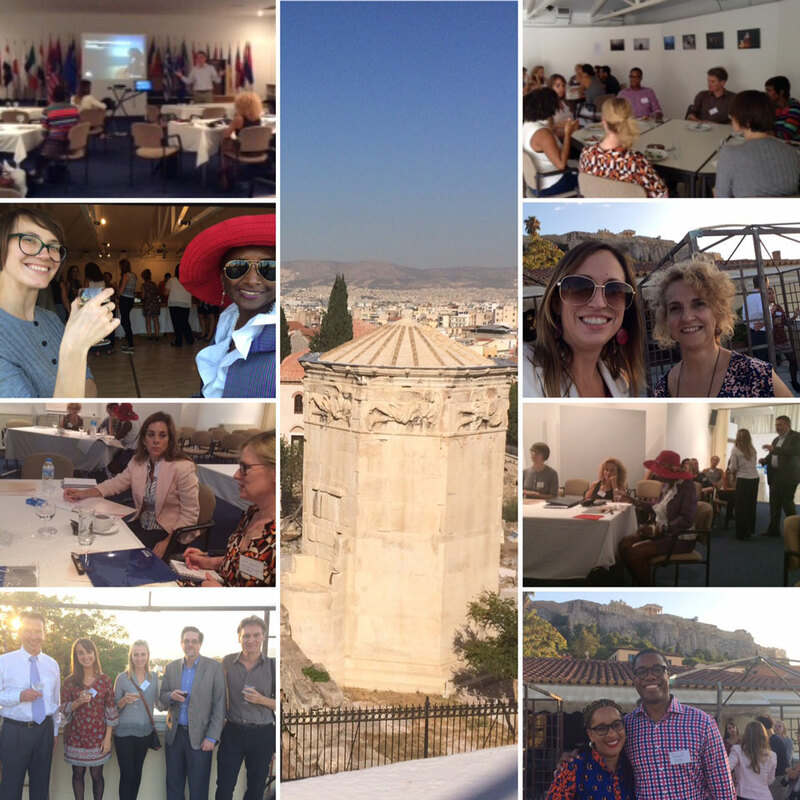 In support of diversity in international education, Webster-Athens and Webster International Network of Schools (WINS) hosted Diversity Abroad’s inaugural European workshop on Oct. 4. Provost, senior vice president and chief operating officer Julian Z. Schuster delivered the keynote address. Schuster challenged the audience of practitioners and students to embrace the difficulties of providing a truly global education. Embracing diversity is no simple task, he explained, and described Webster’s model for working successfully across countries and cultures. Schuster shared Webster’s vision along with personal insight: “If we always agree on issues, without healthy debate and a range of ideas and opinions, we must question if the many voices in our community are truly being heard,” he said. During the workshop sessions, led by Andrew Gordon, founder and president of Diversity Abroad, participants were asked to define diversity from a personal and institutional perspective, and considered difficult case studies as a means of advancing diversity an inclusion in their daily work. Chancellor and managing director Webster-Athens Vasilis J. Botopoulos and staff members Dina Skias and Vivian Gales facilitated the event, providing a warm welcome and authentic Greek hospitality throughout the day. Participants, who represented a range of international and US-based institutions, also interacted with Kim McGrath, director of WINS and Nicole Roach, associate vice president for Diversity & Inclusion and Community Engagement. Following the keynote and afternoon workshops, participants and Webster-Athens students were invited to a rooftop reception for further discussion, reflection and informal networking. This conference supported Diversity Abroad’s outstanding work in the field, and aligned with Webster’s strategic commitment to global innovation through inclusive leadership. Webster is a member of the Diversity Abroad network. Founded in 2006, Diversity Abroad is the leading international organization which connects diverse students, recent graduates and young professionals with international study, intern, teach, volunteer, degree and job opportunities. For more information visit http://www.diversitynetwork.org/.